Tim Plough loves just about every element of up-tempo in relation to the game of football. 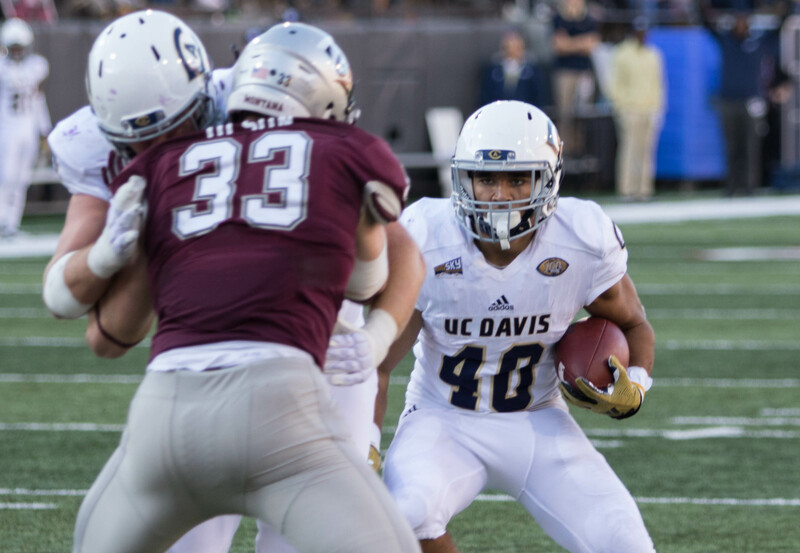 The only time UC Davis’ offensive coordinator would ever even consider telling anyone to pump the breaks is when those close to the program are getting giddy over the rapid rise of the Aggies under second-year head coach Dan Hawkins. 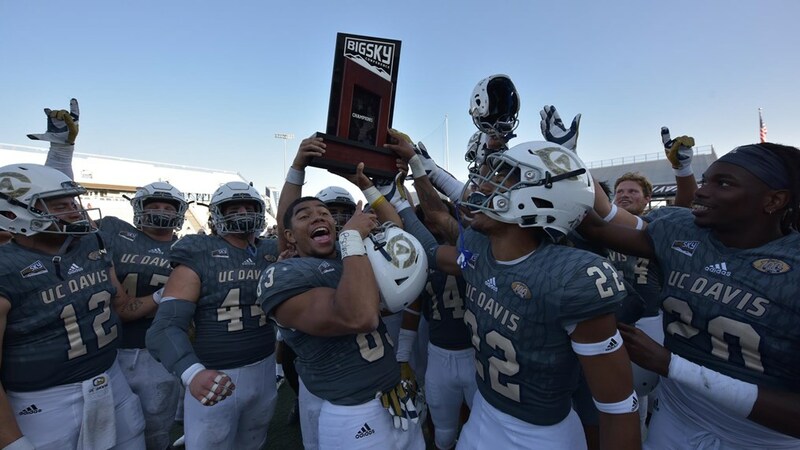 Of the four Great West Conference teams that joined the Big Sky Conference in 2012, UC Davis was the only one that had never experienced a playoff berth, a winning season or a taste of the league title entering 2018. Cal Poly shared the title with Montana State and Eastern Washington in 2012. Southern Utah won the title outright in 2015 and shared the crown with Weber State last season. North Dakota shared the Big Sky’s top spot with EWU in 2016. Meanwhile in picturesque Davis, California about 15 miles from Sacramento, Bob Biggs posted a 4-7 record in his 20th and final season as the Aggies’ head coach in Davis’ first year in the league. Ron Gould won just 12 games in four seasons, including just 10 league games in 32 Big Sky outings before being fired following the 2016 season. 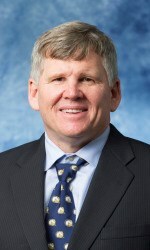 UCD hired Dr. Kevin Blue, a 33-year-old wunderkind who spent the previous seven years at Stanford where he served as Senior Associate Athletics Director for External Relations, as its athletic director in May of 2016. Blue hired Hawkins, a UC Davis alum that rose to the top of the coaching ranks as the head coach at Boise State before falling from grace at Colorado. 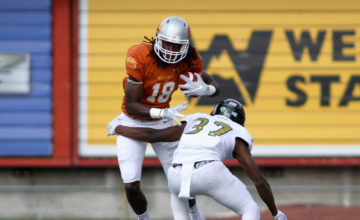 In Hawkins’ first year at the helm, he scooped Plough from Big Sky rival Northern Arizona and the duo scrapped Gould’s pro-style offense in favor of an aerial attack predicated on the pre-snap reads of a savvy quarterback, option routes by physically talented receivers and a break-neck tempo. The Aggies finished 2017 with a 5-6 record. But Davis laid the foundation of the explosive offense that would pave the way to this fall’s 9-2 regular season. Quarterback Jake Maier ranked third in the FCS with 333.5 passing yards per game and the Aggies offense rolled up 34 points and 485 yards of total offense a game. 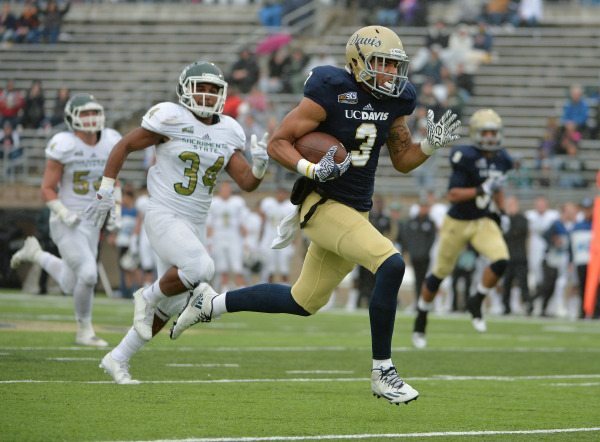 Wide receiver Keelan Doss led the country with 115 catches for 1,499 yards, stats good enough to help land the junior win Big Sky Offensive Player of the Year and finish as a finalist for the Walter Payton Award given to the FCS Offensive Player of the Year. 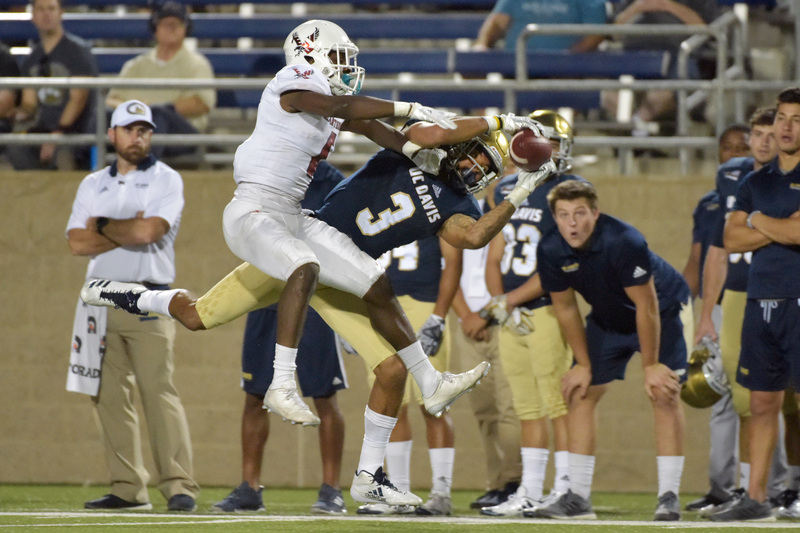 With the return of Maier, a former junior college transfer who earned Big Sky Newcomer of the Year honors last fall, and Doss, a 6-foot-3, 208-pound physical marvel that toyed with entering the NFL Draft last off-season, the Aggies had a pair of the elite players in the country. That talent bore fruit right away. 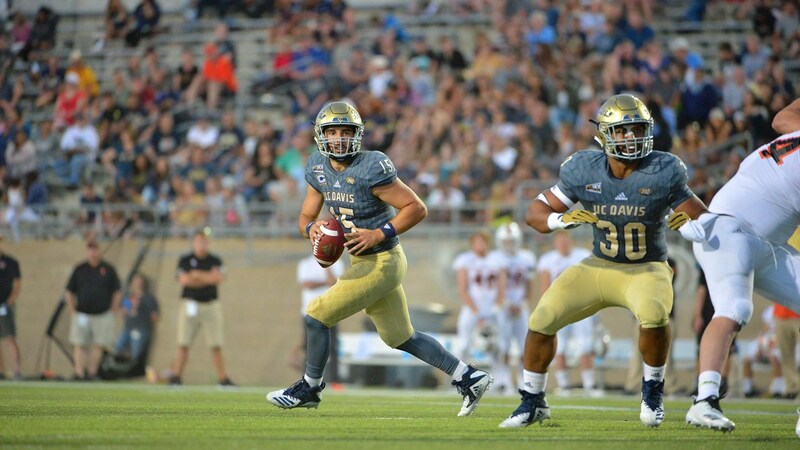 Maier threw for 446 yards and three touchdowns in Davis’ 44-38 win over FBS San Jose State to open the season. The Aggies scored between 42 and 54 points each of the next 10 weeks aside from a 30-10 loss at Stanford as the Aggies entered the second-to-last game of the regular-season with a 7-0 record against FCS competition. Eastern Washington ripped the Aggies 59-20 in Cheney on November 10 but Davis rebounded for a 56-13 win over rival Sac State in a game that had to be played in Reno because of the wildfires ripping through California. 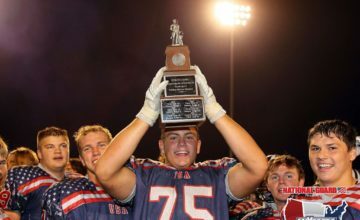 That rivalry victory meant Davis earned a share of its first Big Sky title. The win also meant a team that won eight of nine FCS games earned the No. 6 seed in the FCS Playoffs. NDSU first made the FCS playoffs in 2010 in its third season in the Missouri Valley Football Conference. The following season, North Dakota State went 14-1 and won its first FCS national title. The Bison have won 108 of 116 games since the beginning of 2011 and enter this postseason with the top seed, an 11-0 record and six national titles in the last seven seasons. “We had so much success when we were in Division II (Jim Sochor led Davis to 18 straight conference titles between 1970 and 1988, Biggs went to five D-II Final Fours and two more quarterfinals between 1996 and 2002) and then we beat Stanford (20-17 on a touchdown with eight seconds left in 2005) and everybody thought, ‘this is going to be easy,” said Plough, who graduated from Davis in 2008. “They didn’t realize to be great at Division I and if you are going to join a conference like the Big Sky, which is a perennially powerful conference with great teams, you have to be aligned from the top down. Hawkins, an eccentric and creative offensive mind who went 53-11 in five seasons at Boise State, was out of the college game for six years before taking his latest gig at his alma mater. Following the rapid rise at Boise — Hawkins won 31 of 32 games in the WAC, setting the foundation for the Broncos’ rapid rise to the nation’s elite under Chris Petersen — Hawkins had a rapid fall at Colorado. In five seasons with the Buffs, he won 19 games against 39 losses, went 10-27 in Big 12 play and was fired after an 0-5 conference start in the middle of the 2010 season. He spent time as an offensive coordinator in the Canadian Football League and the Austrian Football League and also as a commentator. Hawkins was set to join Butch Davis’ staff as the offensive coordinator at Florida International when Blue called him to offer him the chance to return to Davis. Fans have shown up in full force this season, although Davis has played just four true home games. About 7,300 fans showed up to the opener against San Diego and 8,140 game to the Aggies’ Big Sky opener against Idaho. On homecoming, the first sellout crowd in Aggie Stadium history (10,849) watched Davis rally from a 23-7 deficit in a 44-37 overtime win over Idaho State. Davis did win consistently in the Big Sky despite playing the rest of the campaign save a 42-20 win over NAU on the road. The Aggies won the “Battle for the Golden Horseshoe” 52-10 at Cal Poly and the dominant rivalry win over Sac. But perhaps the most memorable road triumph came when UCD rallied from a 26-3 deficit to score 46 unanswered points and 36 points in the fourth quarter alone in a 49-21 win at Montana, the first ever win by a Davis team in Missoula. On Saturday, UC Davis will get its latest and most crucial test. The sixth-seeded Aggies will take on Northern Iowa, a wildly inconsistent team that started the season with a No. 13 national ranking, started 0-2 with a loss to Montana in its opener, entered October 2-3 but then posted dominant 24-9 win over South Dakota State. The Panthers are the only team other than NDSU to beat the Jackrabbits. UNI lost the following week to Western Illinois and lost the second-to-last game of the regular-season to Youngstown State. A win over Missouri State helped the Panthers claim the third bid out of the Missouri Valley Football Conference. UNI made the playoffs for the 20th time, the third-most in FCS history behind Montana (23) and Eastern Kentucky (21). Last week’s 16-13 win over Lamar was the 15th playoff win of longtime head coach Mark Farley’s career. On Saturday, Davis will host its first ever FCS playoff game against a national power. 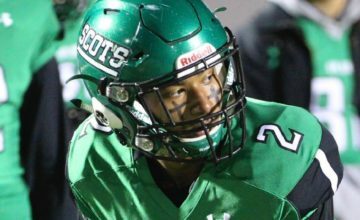 Hawkins has long understood the potential of the school ever since he days in the 1980s playing fullback for Sochor. He has a chance Saturday to lead the Aggies into unchartered territory. “We are kind of like King Kong laying down in the valley,” Hawkins said. “He’s been gassed and you are tapping him saying, ‘Wake up, wake up.’ When you have a major university of 40,000 students that is internationally and nationally ranked, there’s a lot of firepower there.